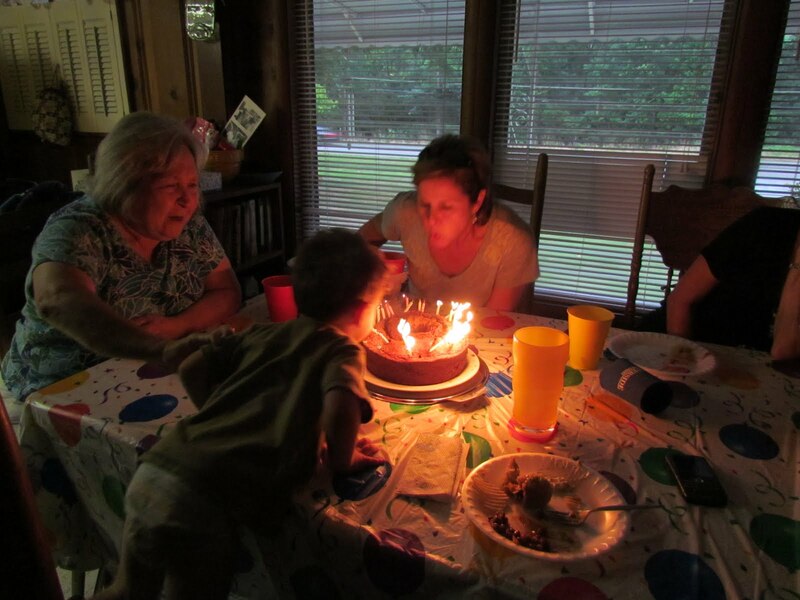 A couple of weeks ago, we celebrated Mammy’s birthday. 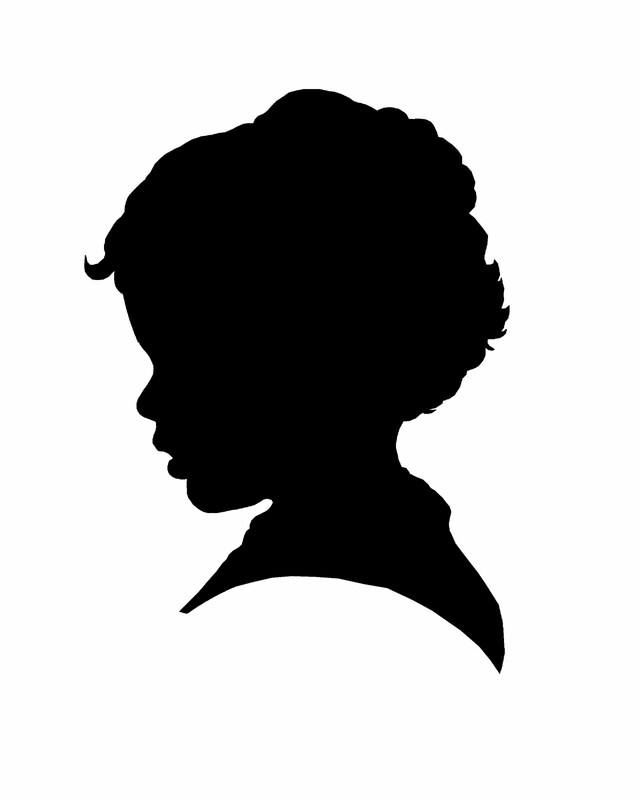 For her gift, I made a custom silhouette of Alston. I snapped this picture of him while he was watching tv one morning. 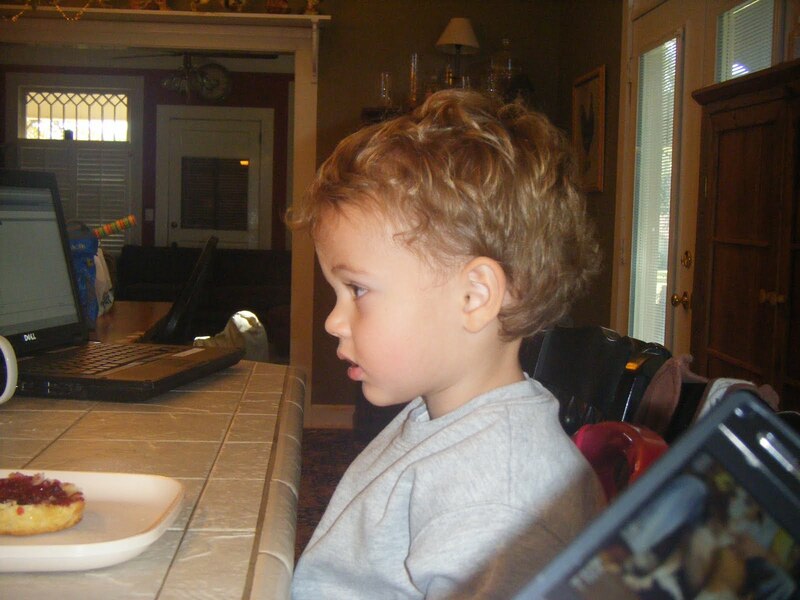 (It was taken in October of 2010 so its a perfect way to mark his second birthday.) Then used Photoshop to trace his profile which I filled in with black. There are alot of great tutorials on how to make real silhouettes, like this one using fabric. As a graphic designer, I prefer to take the shortcut where I can easily undo my mistakes. 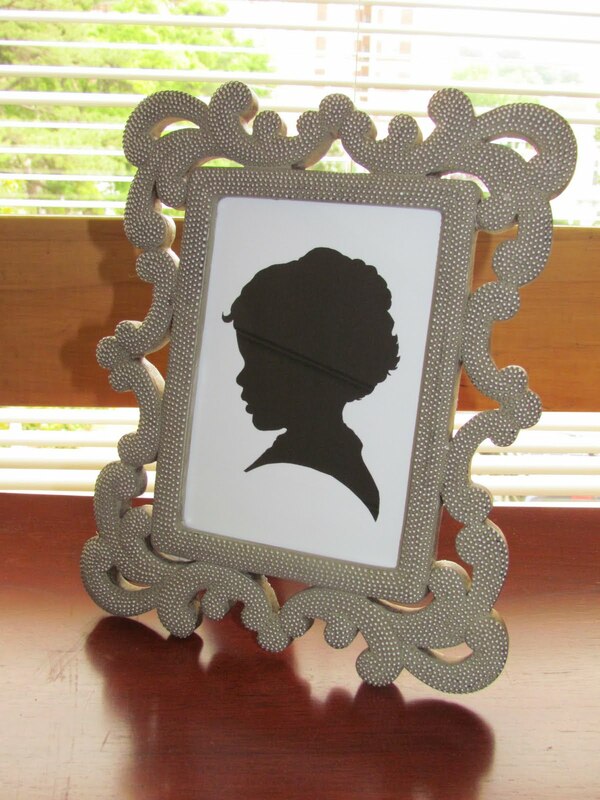 After I created the silhouette, I printed a 5×7 of the image on cardstock and put it in this gorgeous frame I found at Home Goods. 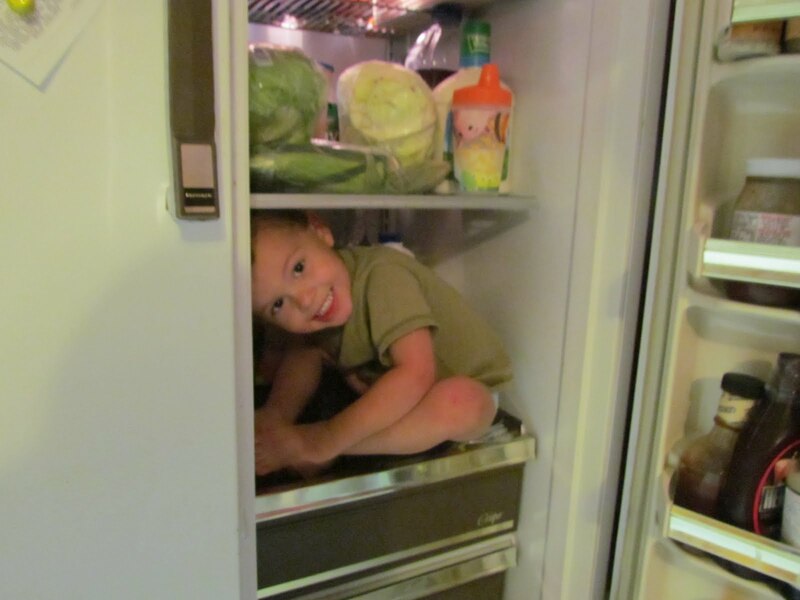 And we had a great time celebrating her birthday with chocolate pound cake and lots of silliness… like this little boy who climbed inside the fridge to hide.